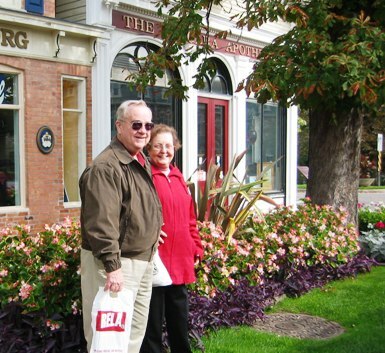 The city of Niagara on the Lake was an interesting stop. 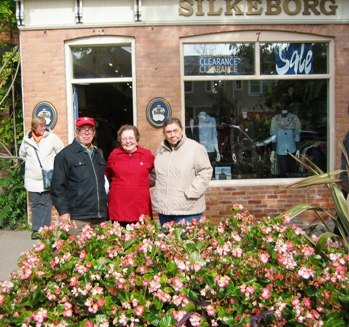 We walked around the town and visited several shops. 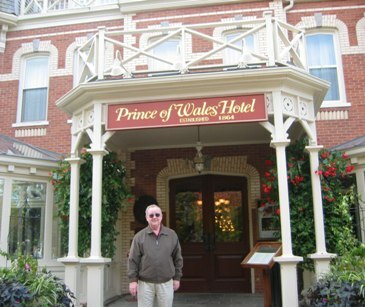 We visited the Prince of Wales Hotel and Restaurant where English Royalty stays when in Ontario. 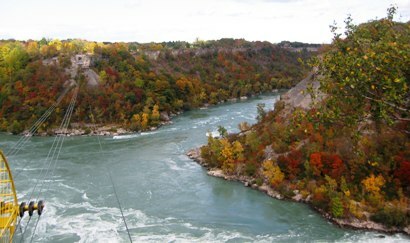 On October 14,we rode along Niagara Valley to Niagara on the Lake, an affluent and exclusive area of Ontario. On the way, we stopped at a Welland Canal Lock and learned about the Locks and Canal System that allows seaway traffic around the Falls and connects Lakes Ontario and Erie. We saw a lot of mansions and nice residences along the way.Surprisingly, the elevation is such that the area has a very accommodating climate and allows for growth of peaches, grapes, apples, pears etc. We saw many peach trees –really more than we see in NEGA.We stopped at a market and saw many fruits, jellies, jams, wine etc that are produced there. the deep waterway that allows large lakers and ocean vessels to navigate to and from the heart of North America. 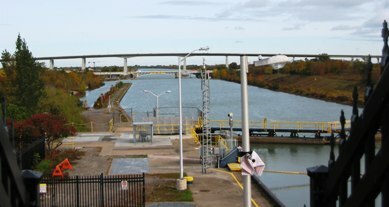 The Welland Canal is a ship canal in Canada, that runs 42 km (27.0 miles) from Port Colborne, Ontario on Lake Erie to Port Weller, Ontario on Lake Ontario. 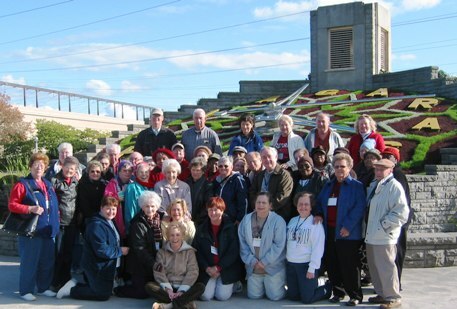 As part of the St. Lawrence Seaway, the canal allows ships to avoid Niagara Falls by traversing the Niagara Escarpment.